WMSE’s fifth annual Record Store Day seven-inch will feature two songs from GGOOLLDD. Side A includes an unreleased track called “Piece Of Mind” and Side B will have GGOOLLDD’s newest digital single, “Success.” There are 300 copies available, which you can find at Acme Records & Music Emporium, Bullseye Records, The Exclusive Company (East Side location) and Rush-Mor Records on Saturday. These two Milwaukee artists came together to press a split seven-inch for Record Store Day, featuring two unreleased songs. One side features Abby’s “Jacul8or” and the other is Saebra & Carlyle’s “1234.” There are also only going to be 300 copies of this record available at Hi-Fi Cafe, Rush-Mor Records, Exclusive Company’s East Side and Greenfield locations, Luv Unlimited and Bullseye Records. As a bonus—Saebra & Carlyle will be doing a 6 p.m. Record Store Day show at Milwaukee’s Exclusive Company. Yes, we still consider the Violent Femmes a Milwaukee band. Limited to 2000 copies, the 35th anniversary reissue of “Hallowed Ground” has been cut from the original stereo tapes by Kevin Bartley at Capitol Mastering, and pressed on dark green vinyl for Record Store Day this year. The third volume of the Wisconsin Vinyl Collective will be out on Saturday. This is always a compilation that we look forward to. The 2019 album consists of previously unreleased recordings from Wisconsin artists including: Michael Perry and the Long Beds, Bascom Hill, Kerosene Kites, Derek Pritzl and the Gamble, Lost Lakes, Madison Malone, Christopher Gold, The Belle Weather, LASKA and Craig Baumann. We’ve talked a lot on this podcast about how our city needs more all-ages venues. Well, the X-Ray Arcade in Cudahy is a new one. And what better day to support the venue than on Milwaukee Day? X-Ray Arcade’s head honcho/Direct Hit frontman Nick Woods takes his own stage for the first time. Rational Anthem and ’83 Wolfpack are also on the bill. Get more details about the show here. And of course, everyone is welcome. Celebrate Milwaukee outdoors on the river at The Cooperage with Platinum Boys, Klassik, Joseph Huber, Lauryl Sulfate and her Ladies of Leisure and host/poet Kavon Cortez Jones. On top of the music and poetry, they’ll also have yard games on The Cooperage’s patio for your enjoyment. The show will also host booths from a number of local non-profit organizations. Get more details here. Camb, Nile Nile, Sharrod Sloans, Mo’City, Shun Millions, J-Lamo and Spaidez. Get more info. here. Join Breaking And Entering at the Pabst Milwaukee Brewery & Taproom for a matinee show featuring Tigernite, Midwest Death Rattle and Beach Static, with a bonus afterparty DJ set by BestFriends. Find more details here. So far, we know that Lil Wayne, Snoop Dogg, Schoolboy Q, Lionel Ritchie, Bon Iver, Jennifer Lopez and The Killers are going to be headlining Summerfest in 2019. We think we can take a guess at a few others. 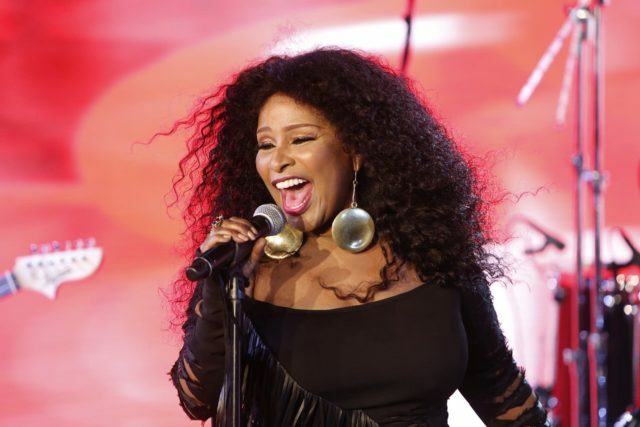 In February, Ebony announced Chaka Khan and Michael McDonald’s co-headlining tour. It was the only outlet that listed a Summerfest appearance, on July 3. It could have been an error, but hopefully it was them spilling the beans on the truth. The National will be at Northerly Island in Chicago June 28. We can’t imagine Summerfest would book them to compete for the crowd on the same day as Bon Iver on June 29, but we know the National isn’t booked anywhere on June 30. So they could play the Big Gig then. Or it’s possible that some of the members of National will make a guest appearance with their friend and Eaux Claires collaborator Justin Vernon during Bon Iver’s set. Brandi Carlile has a good history of playing Summerfest and she’ll be in the area around June 29 when she also plays Northerly Island in Chicago. Her books seem to be open before and after that date. Hopefully she takes a short trip up north to play a Summerfest set. 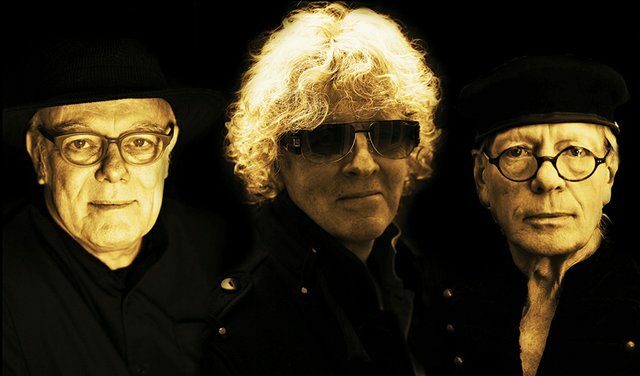 With a set based around the 1974 albums “The Hoople” and “Live,” Ian Hunter, Ariel Bender and Morgan Fisher have regrouped to bring the return of “The Golden Age of Rock ‘n’ Roll” to the U.K. and the U.S. The tour launch in Milwaukee will return Mott The Hoople ’74 to the building (then called the Milwaukee Auditorium) where they performed on May 22, 1974. That show and the Columbia Records-sponsored after-party at the Pfister Hotel made Milwaukee front page news back then, which is rare for a concert review. You can thank the show’s promoter and Shank Hall owner Peter Jest for the band’s return. He has a history of bringing acts to town that haven’t played Milwaukee in ages, including Patti Smith, Nick Cave and the late Leonard Cohen. When he heard that Mott was going back on its last tour, he called the agent who told him there was one date left. Jest sent in a generous offer and snatched the date up. You can see this once-in-a-lifetime Milwaukee concert at the Miller High Life Theater on April 1, 2019 at 7:30 p.m.
And listen to the full podcast episode above to hear our continued conversation on concert etiquette for intimate shows like this and some faux pas we’ve seen at recent acoustic shows. Chicken Wire Empire, a bluegrass band selling out theaters and getting prime fest slots. Crystal Knives, a dynamic EDM producer dropping tracks as powerful as any A-lister, and racking up millions of streams. Telethon, a blast of a live band that’s following up an ambitious rock opera with an even stronger album. Vincent Van Great, a versatile rapper, producer, singer and songwriter who is fully embracing R&B for his next project. Zed Kenzo, one of the most intense live performers in Milwaukee, who’s taking her style of hip-hop, and her profile, to a whole new level. And you can see all of these artists in one place, for free. 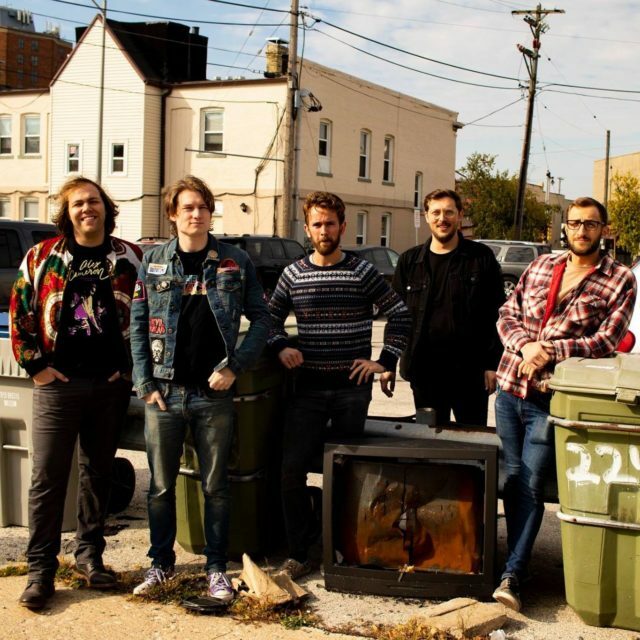 All five acts are performing in the upcoming Journal Sentinel Wisconsin Bands to Watch 2019 showcase at 8 p.m. May 3 at the Radio Milwaukee Studios. Okay Beyoncé has been to Milwaukee once. But that was with Destiny’s Child at Summerfest in 2001. 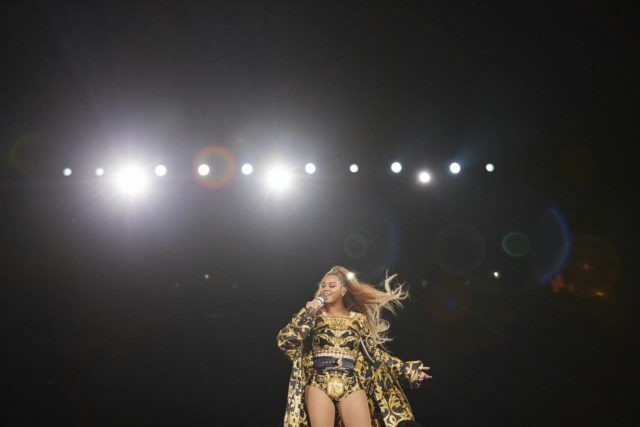 Beyoncé, if you’re reading this, it’s about time you come back for a solo show. May we suggest performing at the DNC? Adele’s last arena tour hit Chicago right around Summerfest. We thought that would have been the perfect opportunity to make an appearance. Summerfest offered her a lot of money, but she ultimately turned it down. Apparently she didn’t want to do outdoor shows that year. Maybe the Fiserv Forum will appeal to her more in the future. This is surprising. Drake isn’t from that far away. And he has toured almost everywhere else in the US. But not Milwaukee. If he ever comes here, he’d be sure to sell any venue out. Frank Ocean hasn’t been to Milwaukee, but he hardly performs anywhere. So we won’t take this one too personally. Same thing with Björk. She is very selective about where she does concerts. But hey, it could happen! We’re very surprised to realize that Gorillaz has never been here. They’ve been touring far and wide for many years. And again, we know that Gorillaz in the area could easily pack a stadium. RiRi, where you at? The last time you were here was before “Umbrella.” We know we’re close to Chicago, but we think you could sell out both cities. Billy Joel is doing his only Midwest show of the year in Milwaukee at Miller Park. That impressive fact lead us to ask, “Is 2019 the greatest spring concert season Milwaukee has ever seen?” It’s probably the biggest we’ve seen in our careers at least. Obviously the Fiserv Forum has a lot to do with this. But it’s not pulling all the weight. We’re also seeing lots of great bookings like Branford Marsalis Quartet coming to the Pabst Theater, The 5,6,7,8’s at Shank Hall, Vince Staples at The Rave, Caroline Rose at The Back Room @ Colevtivo and more. One venue in particular is turning heads: The Miller High Life Theater. This spring, it’s hosting Mariah Carey, Mott The Hoople and George Clinton & Parliament Funkadelic. Mariah Carey has never played Milwaukee, Mott The Hoople hasn’t toured in the U.S. for 45 years and Clinton is choosing to kick off his farewell tour here. These are pretty impressive gets for the often quiet and under-utilized venue. But it’s a beautiful place for a show, so we’re glad to see more and more large headlining tours there. 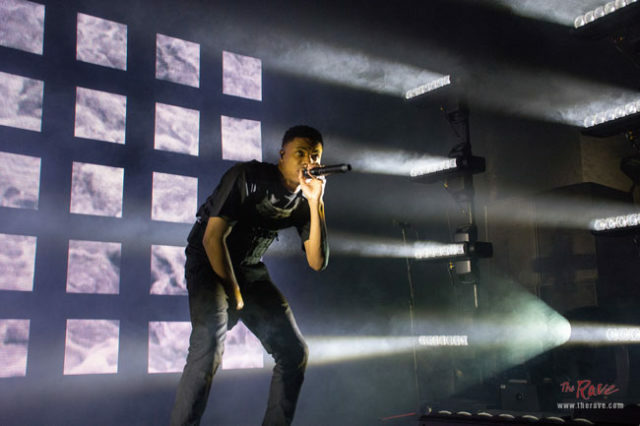 We think 2019 might be the biggest spring concert season Milwaukee’s ever. And yes, we know we said the same thing last year, but concerts in Milwaukee just keep getting better and better. See for yourself. 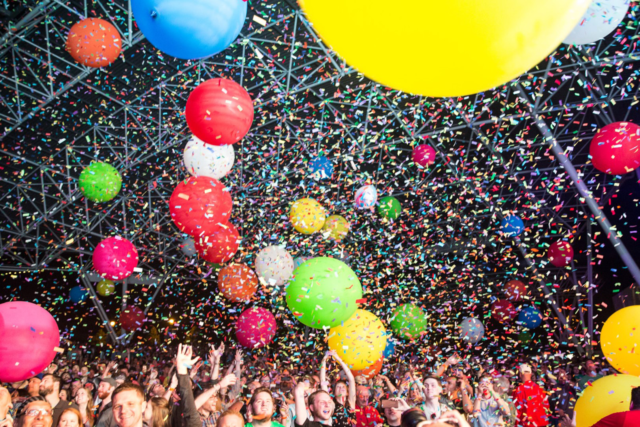 Read Piet’s top 20 concerts to see this spring in Milwaukee here. 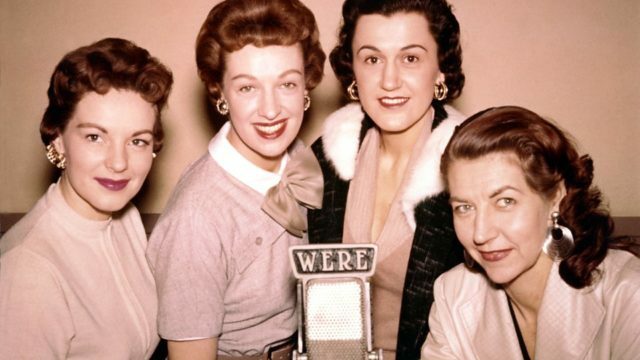 Joining Harvey Scales, Les Paul, Violent Femmes and Liberace, this year’s inductees into the WAMI Hall of Fame are: The Chordettes (as previously mentioned), treasured songwriter Paul Cebar and the ’80s/’90s heavy metal band Realm. Yesterday, WAMI also announced the nominees for the 39th annual award show, which is back in Milwaukee this year on Sunday, April 14 at the Turner Hall Ballroom. Below is a list of all the nominees. WAMI will host a free party celebrating the nominees on Sunday, March 31 at Saloon on Calhoun in Brookfield, which is also up for the Best Live Club/Venue award. And voting is now live for the People’s Choice awards. 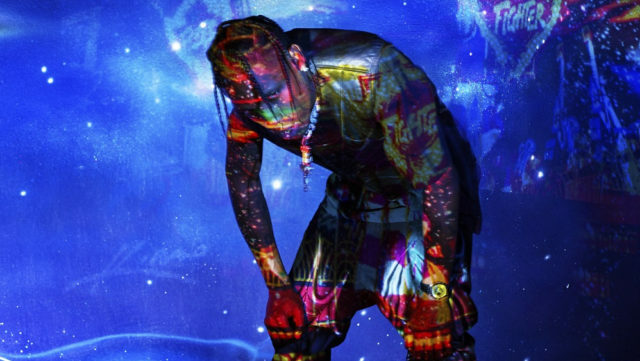 Is Travis Scott at the Fiserv Forum (finally) the start of more Milwaukee stadium rap shows? We’re not sure exactly what that meant. But we do know that Travis Scott is known for insane production in his shows—so if it wasn’t ready, we’re happy to wait. 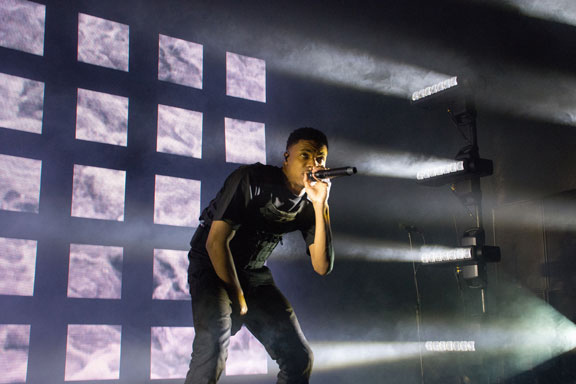 Put it this way: His last performance in Milwaukee at the Rave was so legendary that it had the crowd going crazy, rushing the stage (at Scott’s request) and Jabari Parker making it rain by throwing cash into the crowd from the balcony. And that was at the Rave. Imagine how hyped he’s going to get the crowd with all the tech of the Fiserv Forum at his disposal. If this show goes well, we think it could finally mean that we’ll get more big arena hip-hop concerts in Milwaukee. It’s about time. We haven’t had a tour like this come through in a long time. And we’re talking about big stadium, album-cycle tours, not Summerfest shows or other random Milwaukee appearances. We’re talking about the big names like Nicki Minaj, Drake, Kanye, etc.—why have their national tours never made a stop in a Milwaukee stadium? Maybe it’s the proximity to Chicago, maybe it was the Bradley Center, but we hope the Fiserv Forum and Scott’s booking means change. Raj Saha, who books the Fiserv Forum’s entertainment, has certainly pledged to make that change. He says he’ll bring more diverse types of music to Milwaukee. Hip-hop is the number one genre of music right now and he knows it. He also knows the city is hungry for it. Hopefully Scott’s show will prove it. Remember when Elton John was the surprise guest at Harley’s 100th anniversary? The centennial anniversary celebration for Harley-Davidson was a big deal in Milwaukee. These days, we’re used to Harley hosting these parties about every five years. But in 2003, Milwaukee practically shut down for this massive event for the first time to welcome about 20,000 riders. Hotel rooms were booked solid and Milwaukeeans were getting paid to leave town and rent out their homes to visitors. All of this was for a week long celebration, a three day festival at the Summerfest grounds and a free concert in Veterans Park on the last day with a surprise guest. With acts like Billy Idol, Joan Jett, Poison and REO Speedwagon booked earlier in the week, the bar was set high for the surprise concert. Harley rider’s took this and ran with it—hoping that the Rolling Stones or Bruce Springsteen would be performing (even though the Stones were in Europe around that time and the Boss was scheduled to play Miller Park the following month). When it came time for the finale concert, openers The Doobie Brothers and Tim McGraw took the stage to a tepid response, though after all, they were only the openers. The crowd remained patient. Then, Kid Rock came out to the excitement of many. Little did they know, it would be the highlight of the night. Then, when it was time for the headliner, Elton John appeared on stage only to be met by thousands of people booing and walking out. And though John came out with the hits like “Bennie and the Jets,” “Rocket Man” and “I Guess That’s Why They Call It The Blues,” he struggled to win the crowd back over. 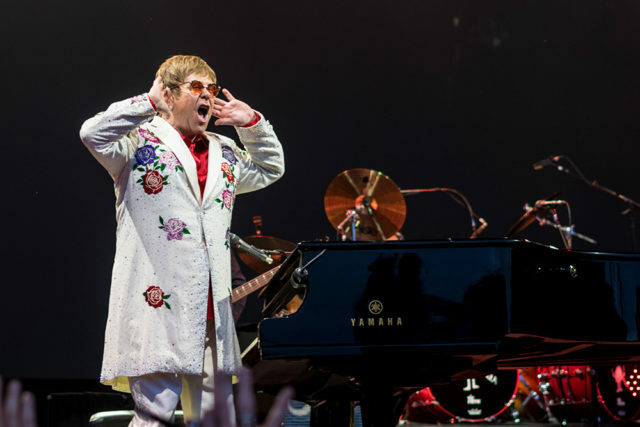 One of Piet’s fellow writers at the Journal Sentinel, Jim Stingl, said Elton John at the Harley 100th was as ludicrous as seeing Metallica at German Fest or Carole King at Metalfest. And in 2007, when Harley-Davidson announced plans to host a 105th-anniversary bash in Milwaukee, they promised John would not be back, to which everyone cheered. Instead, they gave Harley fans what they wanted in 2003, Bruce Springsteen. John has been back to Milwaukee since—his actual fans showed up to a well-received 2005 Bradley Center appearance. Now, his next concert in Milwaukee is close to selling out, proving thousands of people in Milwaukee do care about him, just not the Harley biker crowd. When people know they’re getting Elton John, they love Elton John. Hopefully they also won’t mind waiting a few extra months to see him in October.